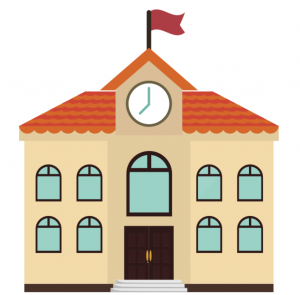 Tumblr: more addictive than crack? Discuss. Or, just spend hours browsing the photos and thoughts of urban tech and media folk and teenagers. There are fashion Tumblrs to drive home just how underdressed you are, and a-day-in-the-life-of-my-kitten Tumblrs to waste hours and hours of productivity. 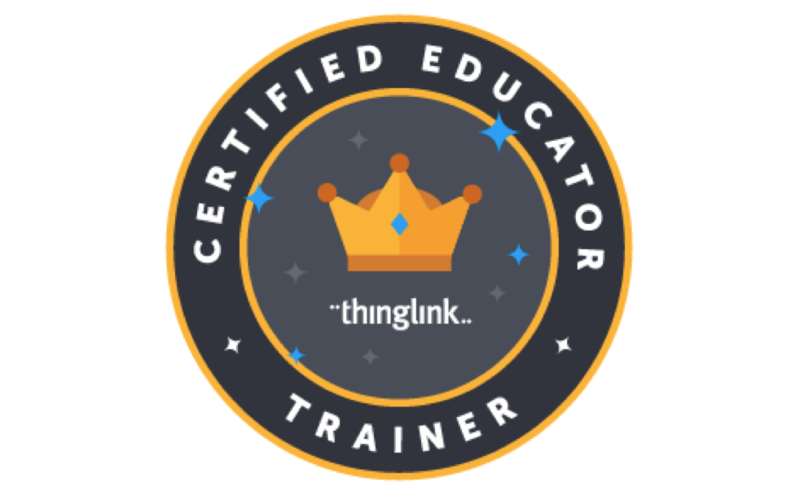 And now, it can all be ThingLinked. Moar content! More fun! Who needs sleep? 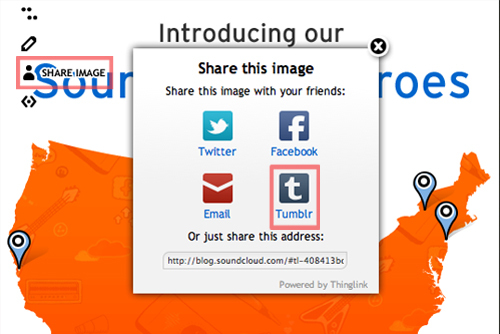 Yes, ThingLink now offers sharing to Twitter, Facebook AND Tumblr on all ThingLinked images. 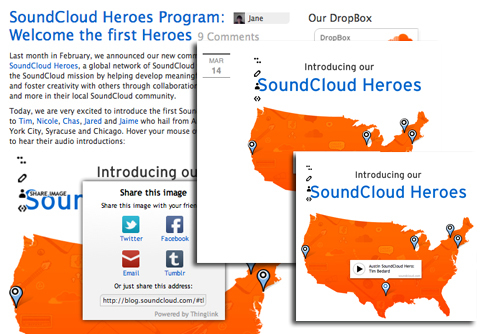 Users could, of course, post ThingLinked images to Tumblr before we made this change — but now the sharing is automated. 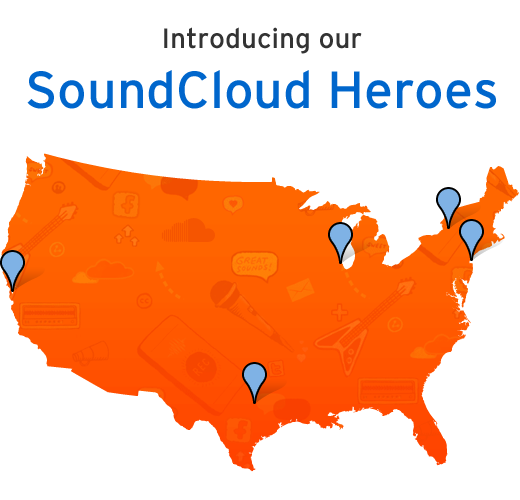 Take for example this Soundcloud Heroes post originally posted on their blog. It’s easily sharable to Tumblr. Try it out yourself on the embedded image below. We’ve also made it easier to reblog images on Tumblr — when you reblog a ThingLinked image in Tumblr, it is now reblogged with the tags intact. And the tagged image can now also be viewed in your Dashboard — you only need to click the Play button to see the interactive image. If all that wasn’t enough, those of you who love to look at your Tumblr pages in Flipboard will be happy to know that ThingLinked images also work in Flipboard. 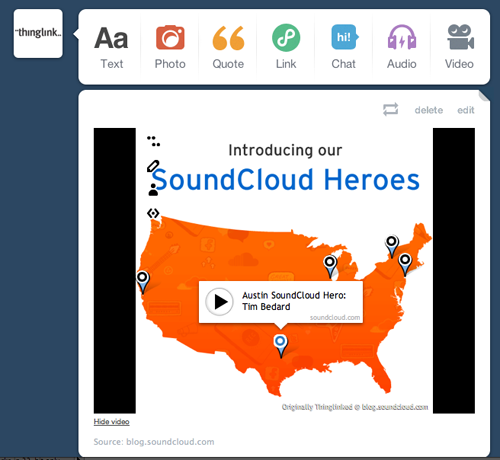 There’s no excuse not to start posting and reblogging ThingLinked images in the hottest micro-blogging platform around!